Weekend Historical Happenings: 3/2/13 - 3/3/13 ~ The History Girl! Bring your favorite book, meet our "staff" of puppets, read to them and enjoy story time from the Education staff on Saturday from 1:00 - 3:00 pm at the Museum of Early Trades and Crafts. Pre-registration is recommended - call 973-377-2982 x12. Regular admission applies: museum admission is $5.00 for adults, $3.00 for seniors, students & children (ages 6 and up) and FREE for Members & children (ages 5 and under). Family maximum admission $13.00. The museum is open Tuesday - Saturday 10:00 am - 4:00 pm and Sunday 12:00 noon to 5:00 pm. The Museum of Early Trades & Crafts is located at 9 Main Street, Madison, NJ. For information, please call 973-377-2982 x10 or visit www.metc.org. The Monmouth County Historical Association invites the public to enjoy open hearth cooking and an open house at the Covenhoven House on Saturday between 12:00 noon and 4:00 pm. Come and observe eighteenth-century style cooking over the blazing open hearth. Visitors will see food being made from authentic "receipts" provided by our hearth cooks, Mrs. Susan Luczu and Mr. Glenn May. This Open Hearth program will feature Honey-Herb Batter Bread, Brussel Sprouts and Bacon Saute, Boiled Pudding, and Open Hearth Roasted Chicken. As you take a guided tour of the house, you will hear stories of families living the Colonial Life. The tour will include a demonstration of how tea was served in the eighteenth century. If you have ever wondered about the value of an old painting, sampler, hooked rug, vase, set of dishes, sterling flatware/hollowware, oil lamp, mantle clock, cut glass pitcher, early tops, tree ornaments, quilt, needlework, valentines, family bible - the list goes endlessly on - come to the Riverton Antique and Collectible Fair co-sponsored by the Historical Society of Riverton and Riverview Estates. Veteran Personal Property Appraiser, Ronald Shaffer, ISA will be present to evaluate heirlooms and offer a Verbal Opinion of Value. Be prepared for his witty and informed banter as he speaks about each piece. Please note, so you will not be disappointed, Mr. Shaffer claims no general knowledge of firearms, swords, jewelry, or modern day collectibles. Furniture items are always welcomed - if they easily transportable by the owner. Photographs of items, too large to carry, are acceptable as long as they are clear, true views with sufficient detail. 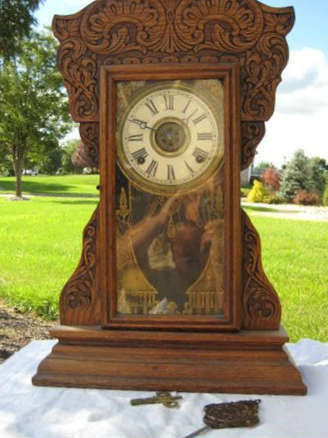 Information shared by Mr. Shaffer is not intended as a certified appraisal but merely his opinion of the history and value of an antique or collectible. We invite those needing a certified appraisal to arrange an appointment with Mr. Shaffer following the Antique and Collectible Fair. At the last fair, participants were delighted to learn about Americana and decorative works of art including a collectible American silver water pitcher, silver table articles, flatware and tea service, earthenware, salt-glazed stoneware & porcelains, an enameled cameo glass vase, a signed 19th century color lithograph, vintage model trains, an appliquéd quilt, carved and painted wood toys, military collectibles, a poplar slat-back armchair, burl wood bowl, and more. Call Gerald Weaber at 856-786-6961 to reserve your seat for this popular event. $10 for the first item and $5 for the second. When you call, please leave your name, phone number, and the number of items on which you wish to receive an opinion. The series begins with a visit from historian Randall Gabrielan on Sunday from 1:00 - 3:00 pm in the Warner Student Life Center on the Brookdale Campus. Gabrielan has published over two dozen books on the history of Monmouth County towns; his recent work, Explosion at Morgan: The World War I Middlesex Munitions Disaster, will be the subject of his talk. Copies of this as well as other Gabrielan titles will be available for purchase and signing by the author. The Jefferson Township Museum, also known as the George Chamberlin House, will have an open house on Sunday from 1:00 - 4:00 pm. Costumed docents will give tours of the museum. Admission is free. The theme of this month's exhibit will be "Put on your Easter Bonnet," with vintage accessories such as hats, gloves, artificial floral corsages, feathers, shoes, scarves, fans, etc., on display. The Jefferson Township Museum is located at 315 Dover-Milton Road, Jefferson, NJ. Be sure to visit Miss Elizabeth's Shoppe located in the original kitchen of the Museum, where small antiques, collectibles, handmade and handcrafted items will be offered for sale. For further information, visit www.jthistoricalsociety.org, or call Christine, Jefferson Township Historical Society president, at 973-697-0258. The Historical Society of Scotch Plains and Fanwood invites you to attend an open house at the Osborn-Cannonball House Museum on Sunday from 2:00 - 4:00 pm. In honor of Women's history month, the "Moonlight Duo" present "Herstory - Classical music by female composers from Europe and the U.S" at 4:30 pm on Sunday at Macculloch Hall. While treasure hunting for lost and forgotten music, the "Moonlight Duo" has found beautiful pieces by female composers from Germany, England and the U.S., including a manuscript by Katharine Lucke from Baltimore. Other composers featured are Clara Faisst from Germany, May Mukle and Rebecca Clarke from England, and more. 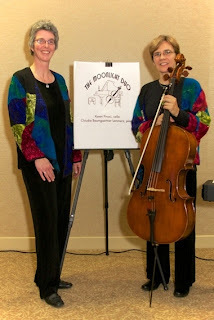 With inspiring stories and unique facts about these women and their compositions, the Moonlight Duo presents a very special treat: beautiful music wrapped around a historical journey. The "Moonlight Duo" is comprised of Karen Pinoci on cello and Claudia Baumgaertner Lemmerz on piano. Tickets for Sunday's program will go on sale at 1:00 pm the day of the program, no advance sales. A separate ticket ($12) is required for the musical programs; discounted ($10) for members, Seniors, Students and those who purchased a Museum tour ticket that afternoon. House tours (regular admission applies) take place throughout the afternoon and the last tour leaves at 3:00 pm. On program days the upstairs galleries will remain open until 4:30 pm and the "A Fine Collection" exhibit will close at 3:00 pm in preparation for the program. Macculloch Hall Historical Museum preserves the history of the Macculloch-Miller families, the Morris area community, and the legacy of its founder W. Parsons Todd through its historic site, collections, exhibits, and educational and cultural programs. The museum is open for house and exhibit tours on Wednesdays, Thursdays & Sundays from 1:00 - 4:00 p.m. The last tour leaves at 3:00 pm. Adults $8; Seniors & Students $6; Children 6 - 12 $4. Members and children under 5 are free. The gardens are open (free of charge) during museum hours. For more information, call 973-538-2404 ext. 10, www.maccullochhall.org. Macculloch Hall Historical Museum is located at 45 Macculloch Avenue, Morristown, NJ. Even though Bruno Richard Hauptmann was found with $14,000 of Lindbergh ransom money in his garage, he always contended he received it in a box from his friend Isador Fisch. Early on the police felt that the kidnapping was an inside job, carried out by several people. As the case grew cold and the NJ State Police became highly criticized, they jumped at the chance to pin the kidnapping solely on Hauptmann and closed the case. Over the years, many alternate theories emerged about the kidnapping. 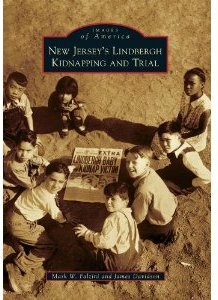 There are at least a dozen theories, some more convincing than others that will be discussed at the program entitled "12 Theories of Who Kidnapped the Lindbergh Baby" with Jim Davidson, a local historian and collector of Lindbergh memorabilia, on Sunday at 2:00 pm. Doors open at 1:00 pm. The program, including a slideshow and Q&A, will be held at the Brook Arts Center, 10 Hamilton Street, Bound Brook, NJ. Admission is free, although a $10 donation is suggested. 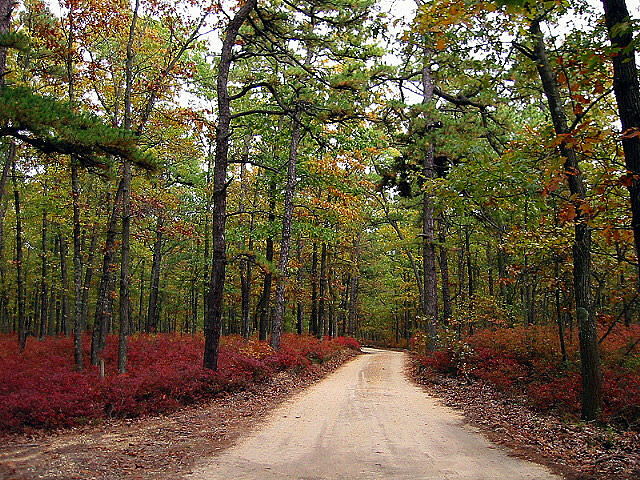 Join Morven Museum and Gardens for "The Pine Barrens: The Past, the Politics, and the Future, A Panel Discussion" on Sunday at 2:00 pm at McCosh 50 on the Princeton University Campus. Listen to a rare conversation with Governors Brendan Byrne and Jim Florio, John McPhee, author of The Pine Barrens, Michele Byers of New Jersey Conservation Foundation and Carleton Montgomery of Pinelands Preservation Alliance. Moderated by Michael Aron of NJTV. The discussion is presented in conjunction with Morven's current exhibition, The Pine Barrens: A Legacy of Preservation, Photographs by Richard Speedy. 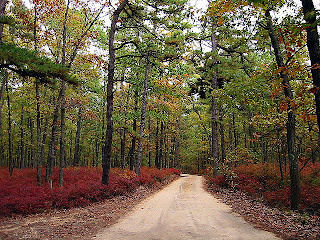 This singular program will explore the arc of Pinelands preservation efforts, as well as anecdotal stories from those intimately associated with its history. Join the Montclair Historical Society on Saturday at 3:00 pm as Jane Eliasof talks about the years 1920 to 1965, when the Israel Crane House was home to a YWCA for girls and young women of color. She will also provide an update on the project the Montclair Historical Society has embarked upon to document this period. This presentation is free of charge. March is Women's History Month! The Eatontown Historical Committee invites you to join us for Dramatic Readings from the Docudrama play on Mary Todd Lincoln entitled "Pass My Imperfections Lightly" by Linda Turash of Nine Theatricals. 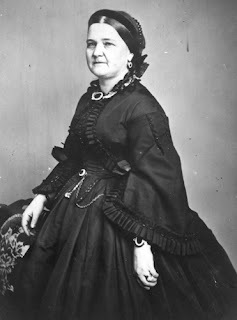 Linda will portray Mary Todd Lincoln, in character and costume. The play has been described as a dramatic examination of a unique personality, which history tends to simplify, written by Vaughn McBride. Ms. Turash will select highlights from the play. Ms. Turash has been an actress for over 30 years performing in various venues including the Strand Theater, Ocean County and Brookdale Community Colleges, and various community theaters. The reading will take place from 1:00 - 2:00 pm at the Eatontown Community Center, 68 Broad Street, Eatontown, NJ. Admission is free. Suggested Audience Age: 13 and older. Tea will be served at the Eatontown Historical Museum (across from the Community Center) following the program. For further information, pleaes e-mail: bguysmom@aol.com. Join singer and pianist, Deborah Fennelly as she and pianist David Mauillo fill the rooms of the Museum of Early Trades and Crafts with songs of the past on Sunday at 2:00 pm. Space is limited. Pre-registration is strongly recommended. Call 973-377-2982 x14 for reservations. Admission to the program is $10 for non-members and $5 for members. The Museum of Early Trades & Crafts is located at 9 Main Street, Madison, NJ. For information, please call 973-377-2982 x10 or visit www.metc.org.